Kodi wouldn’t be one of the most popular open-source media player software applications in the world if it wasn’t for its active development. Kodi developers work tirelessly on fixing bugs, creating new features, and polishing the application to perfection. To enjoy the very best Kodi has to offer, you should learn how to update it. The good news is that updating Kodi is pretty simple, and you should be able to learn how to do it in just a few minutes. Our favorite way how to update Kodi on Windows involves a simple add-on called Windows Installer. Click on the box icon to select Package Installer. Scroll down and select Kodi Add-ons Repository. Go to Program Add-ons and select Windows Installer from the list. Return to the main screen and go to Add-ons → Program Add-ons → Kodi Installer. Select the latest version of Kodi available. Wait for Kodi to update and enjoy! Alternatively, you can get the Windows Store version of Kodi and enjoy hassle-free updates right from the store. If you’re an Android user, you have nothing to worry about because Kodi is available in the Google Play Store. Just like all other Google Play Store apps, Kodi updates automatically when a new version is available. Choose Android and click on the “Pre release” tab. Download the version for your Android device or become a tester to receive unreleased version of Kodi in the Google Play Store. Select iOS and download either the 32-bit or the 64-bit DEB file. Open the downloaded file in iFile to install it. Select MacOS and download the 64-bit installer. An Intel Mac running OS X 10.8 or higher is required. Open the downloaded file just like you would any other macOS application and install it. Enjoy the latest version of Kodi. You can then keep it updated by running “sudo apt-get update && sudo apt-get upgrade” from time to time. Alternatively, you could use Kodibuntu, which is a Linux distribution for use on PCs that are mainly just running Kodi. If you want to enjoy the latest version of Kodi on Raspberry Pi, we recommend you install OSMC, a free and open source media center based on the Kodi project. OSMC supports Raspberry Pi 1, 2, 3, 3+, and Zero, and it’s known for its easy installation. Go to the OSMC project website and download the OSMC installer for your operating system. Use the installer to install OSMC on a microSD card. Insert the microSD card into the microSD card slot in your Raspberry Pi. Enjoy the latest version of OSMC. • You need to replace “YOUR.ATV2.IP.ADDRESS” with the IP address of the Apple TV. • You will be asked for a password: default password is alpine. Just keep in mind that the last supported version for the platform is Kodi 14.2. To enjoy Kodi without any regional restrictions, we recommend you use NordVPN, a popular personal virtual private network service with desktop applications for Windows, macOS, and Linux, mobile apps for Android and iOS, as well as an application for Android TV. 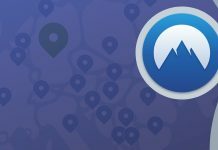 NordVPN can instantly bypass all geo-restrictions, allowing you to watch countless streams for free. The service adheres to a strict no logs policy, and it’s chosen Panama, a country that does not participate in the Five Eyes or Fourteen Eyes alliances and has no mandatory data retention laws, as its home. NordVPN starts at just $2.99, and you can try it for up to 30 days with a 100 percent money-back guarantee. Kodi is a fantastic free media player that works just as well on large screens as it does on mobile devices. To enjoy it without annoying bugs, you should keep it updated to the latest version, and we’ve explained how you can do just that in this article. VPNs: What Are They and How Can They Help Me?